In a small, heavy bottom sauce pan, combine 4 oz honey and 12 oz warm water. Bring to heat so the honey melts slowly and cook just below simmer for 5-10 minutes. Use a spatula to scrape sides and bottom of pan regularly. Makes approx 16 oz. Store in a sterilized pint size glass jar and keep refrigerated up to two weeks. Combine 16 oz gin (we used New Amsterdam) with rokz Ginger Cardamom Infusion kit. Infuse for 2-4 days, we found that we liked it at the 3 day mark. 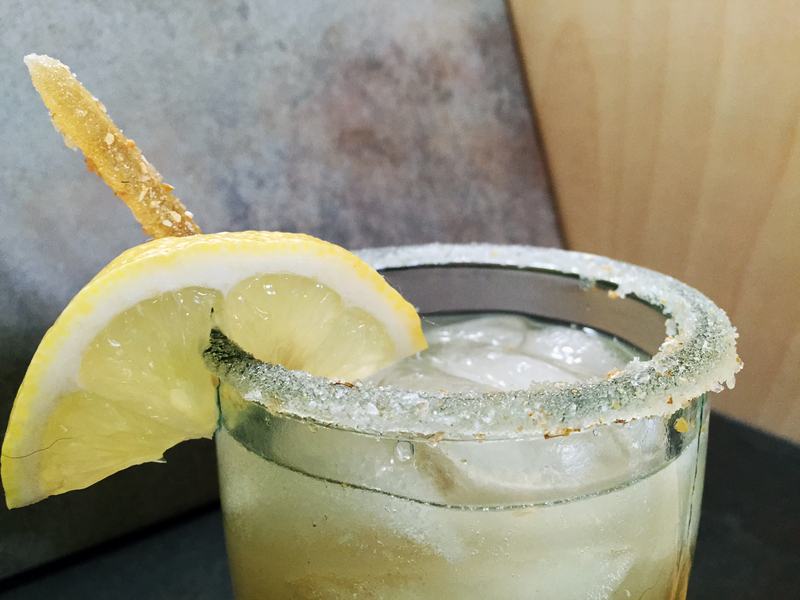 Rub a fresh lemon slice around rim of a 10oz glass and then dip and turn the rim in rokz Lemon Infused Sugar.